A meeting will take place between local politicians and police following another accident on a busy route. The two-vehicle crash at Champany Junction took place on Sunday, January 27 and one of the vehicles caught fire in the incident. The scene of a previous crash at the A906 near Champany which would ultimately claim three lives last year. Firefighters and police rushed to the scene amidst fears of serious injuries, but thankfully, the incident was not as serious as first thought. The route has been the location of a number of car accidents on this wider stretch, including a triple fatality in May involving young visitors from overseas. And now, two local politicians, whose constituencies span the route, will be meeting Police Scotland to discuss potential safety measures soon. 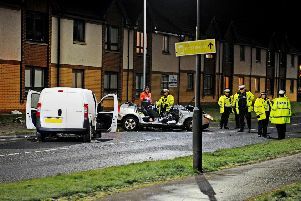 MSP Angus MacDonald said: “I am grateful that there have been no injuries on this occasion. It remains, however, that this junction is more often in the spotlight where incidents are concerned. 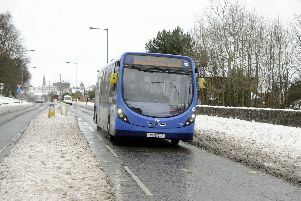 “My colleague, Fiona Hyslop, MSP for Linlithgow constituency, and I, contacted Police Scotland and both Falkirk and West Lothian councils before this latest accident, and have requested a meeting to discuss this issue and to find a way forward.